Contents are protected by Copyright – Reproduction is prohibited without previous written approval by Novaxia. We often, wrongly, believe that long-term success stems from a specific event: a good advertising campaign, an effective negotiation, a big contract. It would be like saying that an athlete won the gold medal at the Olympic Games thanks to that particular competition: it may have been an exploit, but it was the result of years of training routines of growing complexity and difficulty, allowing the athlete to reach the top. 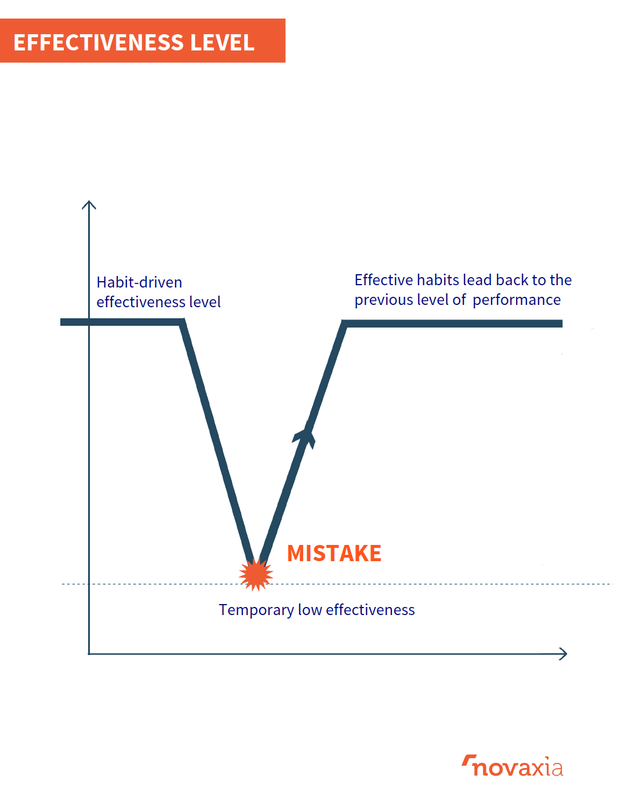 Effective habits in companies lead to great results in the long term: a mistake is just a temporary fall in the performance level, which will be soon restored by the effective habits used in our teams and departments. 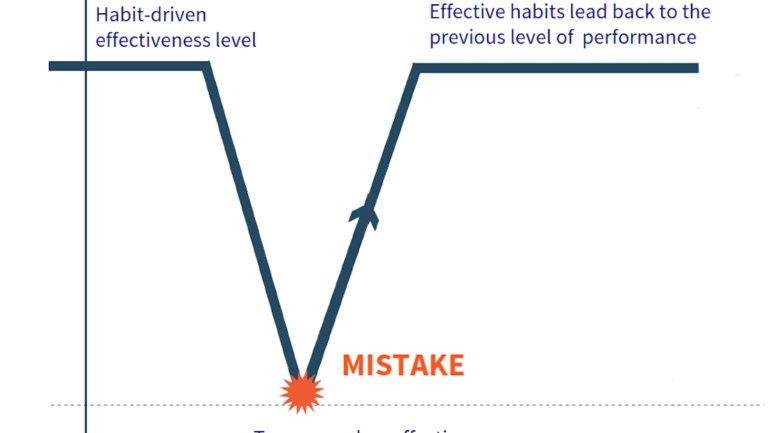 Ineffective habits, following the same rationale, will soon eliminate a potential advantage of an extraordinary ad campaign: bad management habits will slowly cancel the effects of that result, leading to the usual, low performance levels the company is used to. A company with dysfunctional habits is not even able to see the big mistakes that are made every single day in its departments, because the low level of performance generated by those routines, hides them. Mistakes are not seen, because everyone is used to those results anyway. There are many examples of this: for instance, the spectacular mistake of Mercedes and its A Class, a car that toppled way too easily. The company did not suffer in the long term though. Top-quality routines in the organization soon brought the usual high standard results: a new stability concept and a car that was glued to the asphalt. In the same fashion, Blockbuster ignored for years the clear change signals in the market, Nokia lost 90% of its market share and Kodak risked to go bankrupt. Habits we develop as managers, teams, departments, divisions and whole organizations always make the difference, even when a crisis hits the company or when a lucky product is launched in the market.